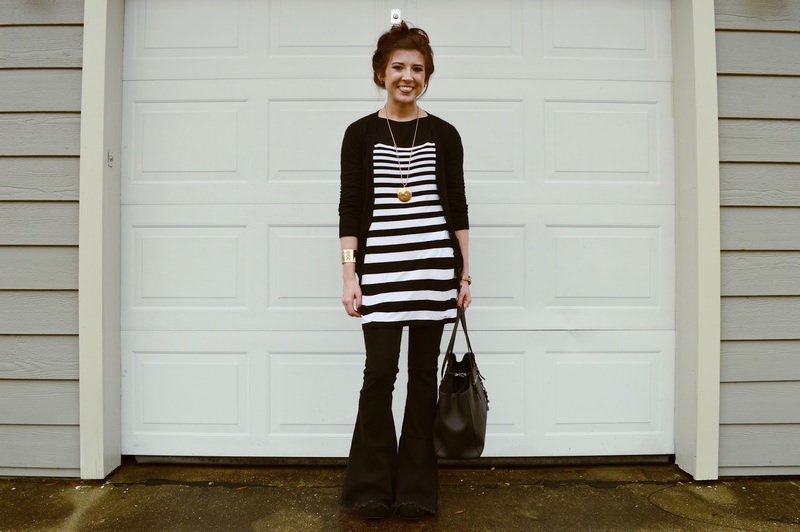 Today, I'm channeling my inner Rachel Zoe with these black flared jeans and this black and white striped tunic. 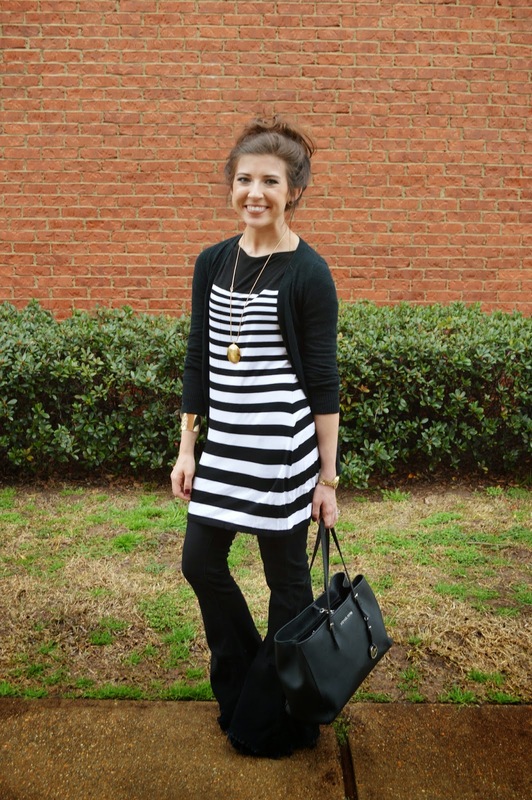 I love wearing this tunic over jeans because the hem hits the leg at the smallest part which creates a super flattering look for my legs. I know most of my looks are black, but there's no such thing as too much black, right? I'm wearing these gold jewelry pieces for a little 70's vibe and I am LOVING it! I hope you're all keeping warm! These photos were taking only a couple of days before a wicket ice storm hit Louisiana! Crazy, right?! PS-You know how messy buns are supposed to look effortless and chic? This one took me about 20 minutes and 20 bobby pins...so many pins. 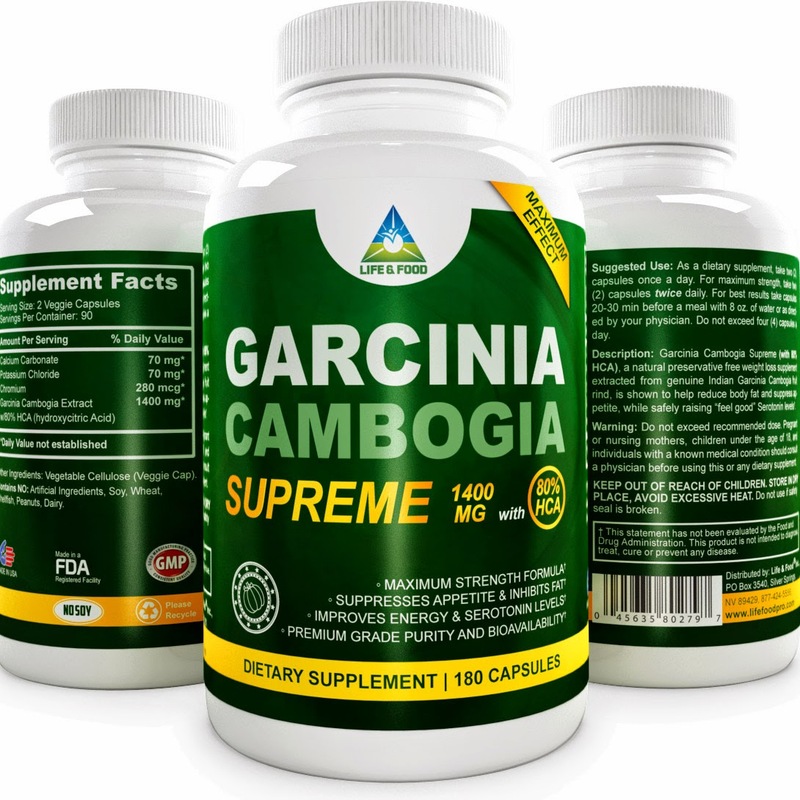 Lady Reviews: Life & Food Garcinia Cambogia Supreme 80% HCA + GIVEAWAY! I was recently sent this supplement for reviewing purposes. 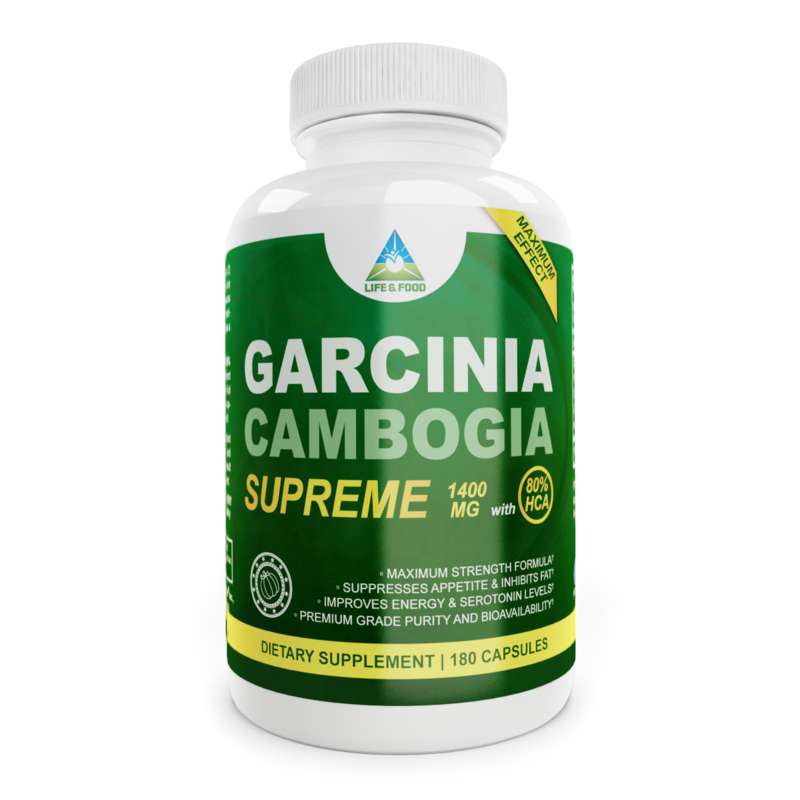 While most use Garcenia Cambogia as an appetite suppressant to aid in weight loss, I decided to try it out for the stated purpose of improving energy and serotonin levels. 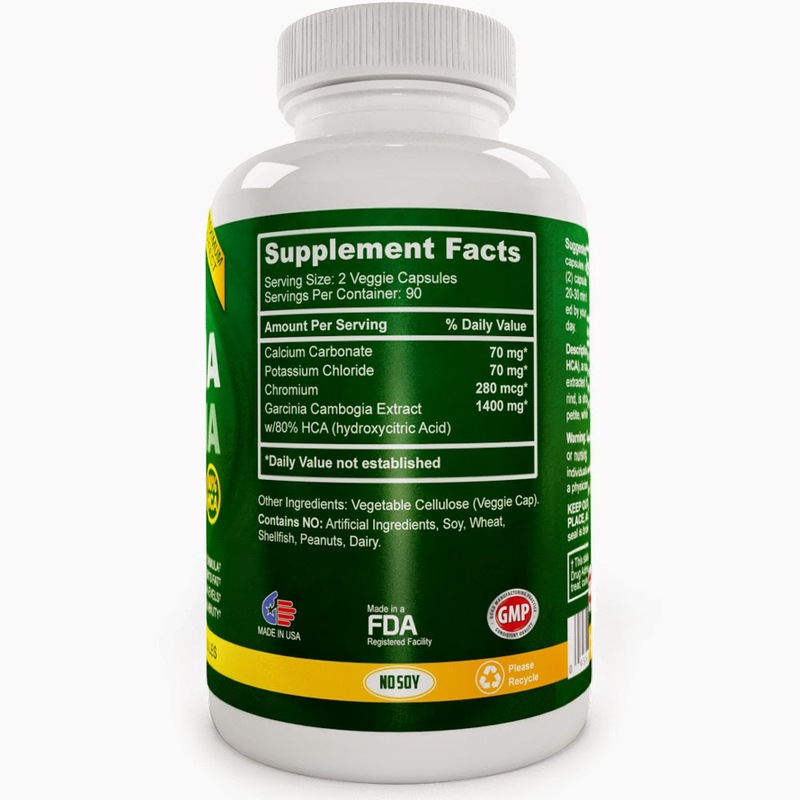 The recommended dosage is 1-2 capsules 20-30 minutes before a meal, twice daily. I decided to take only 2 capsules in the morning, since I am not necessarily trying to lose weight. The first thing I noticed with this product is my skin reaction. I have problematic skin as it is, so I don't believe my breakouts were solely due to my use of this product, but I did notice that my blemishes were intensified after beginning this regime. I didn't notice much of a difference in my energy levels. This may, however, be because I didn't use the product exactly as recommended in fear of losing too much weight. I don't feel like the use of this product affected my appetite or weight at all, which is good, as I was not using it to do this. I feel like my opinion is not completely useful to most unless you are using this product for the reasons I stated before. If so, I don't think this product makes much of a difference in energy and serotonin levels when used as I did. This may be different with a more often usage. The skin reaction was a deal breaker for me, so I am discontinuing my use of this product mainly for that reason. Those with less sensitive skin may not experience the breakouts that I did. You can purchase this product on Amazon. DISCLAIMER: I WAS SENT THIS PRODUCT FOR REVIEW FROM LIFE & FOOD THROUGH TOMOSON.COM. ALL OPINIONS ARE MY OWN. PS-Enter this giveaway to try the product out for yourself! Hello lovelies! 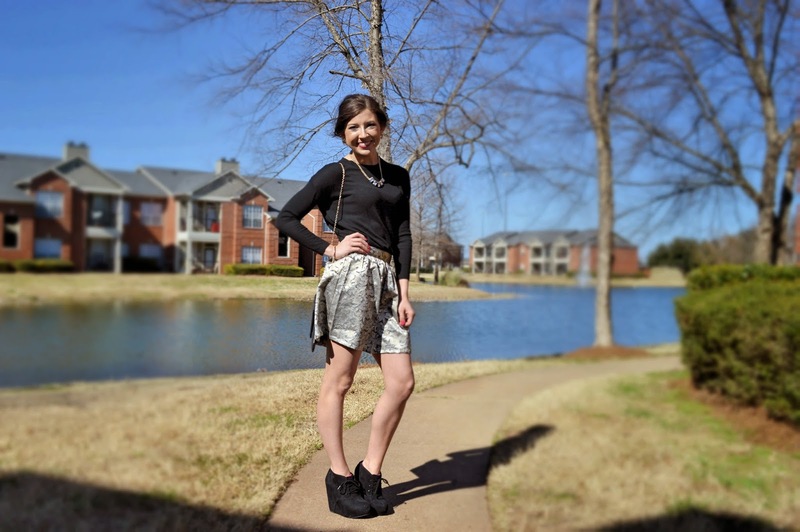 I am Jessica from State of Greyce (stateofgreyce.com) and I am so excited to be collaborating with Brittani on transitioning into spring at The Life of a Lady today! Every time someone asks of my favorite color, I always respond black. 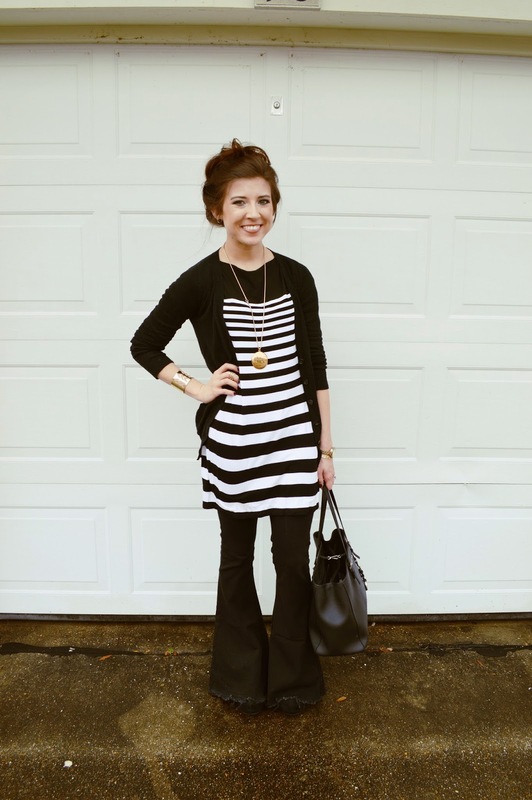 Black not only goes with every color and pattern, but is also very figure flattering. Of course, it is my go to color when basing outfits combinations in the fall and winter months. However, now spring is lingering upon us and it is time to introduce color into wardrobes. 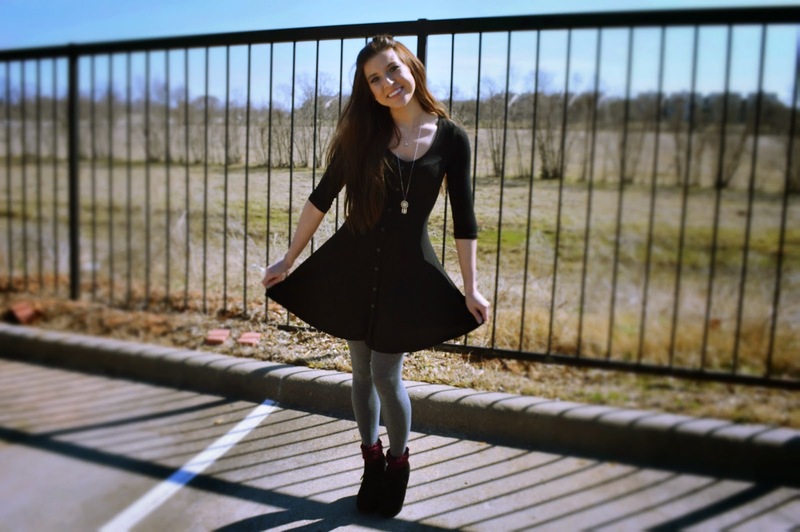 For me, I tend to struggle with letting go of my darker pieces, taking longer for me to develop a spring wardrobe. In attempt to add bright colors to my outfit early this year, I paired this peach-colored skirt from Tobi with this black tunic from Shop Hope’s. 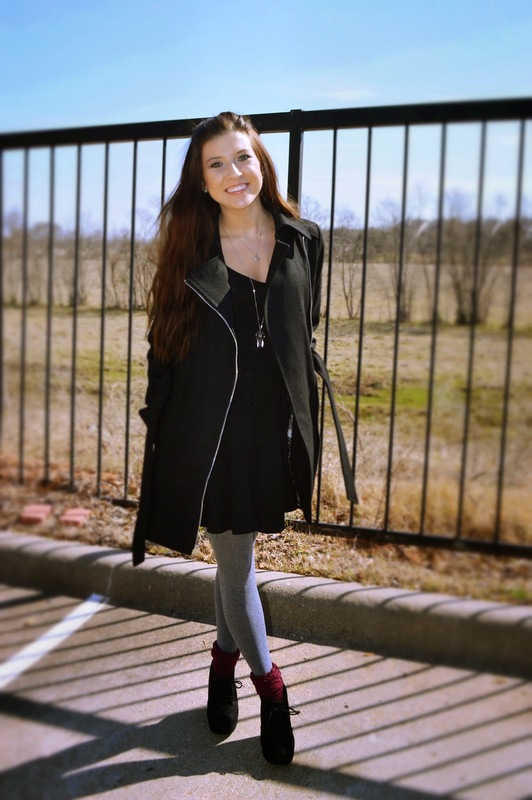 My tall black suede boots from Free People tied the outfit together by combining the sleek black basics and pop of color. I, of course, had to add my leopard Valentino cross body to complete the look. 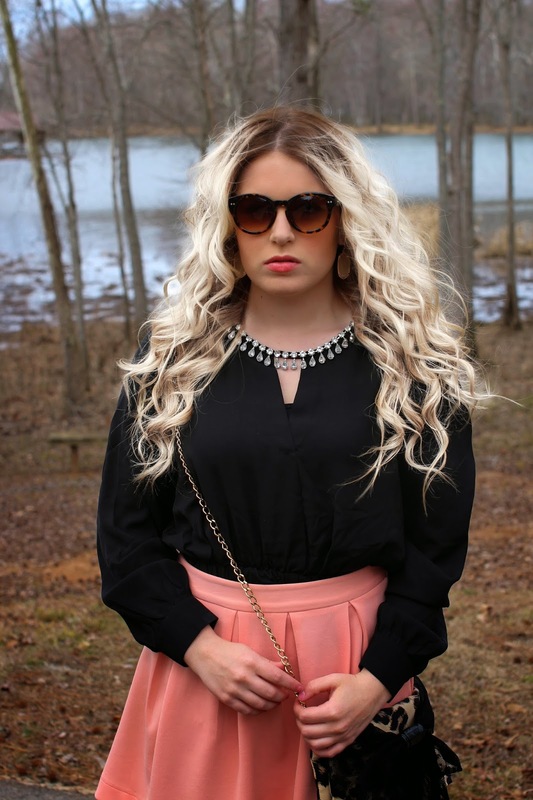 I think this look is one of the best ways to mix your black pieces with your spring clothing. 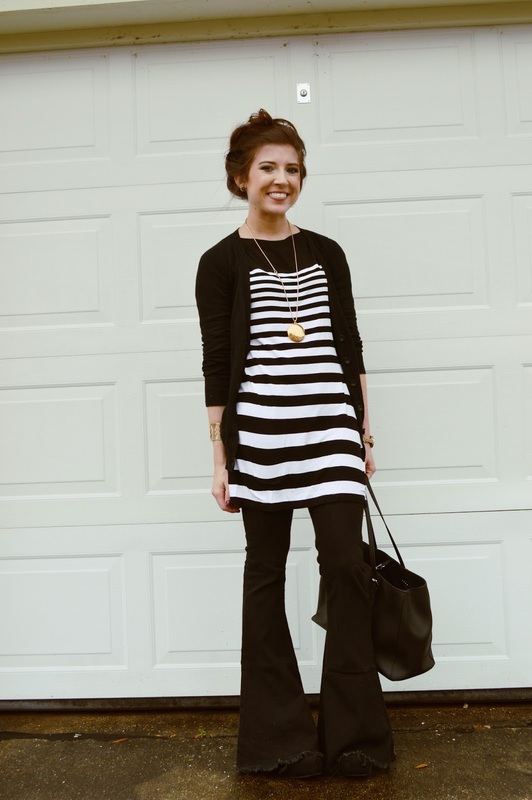 Even though the weather is still in the lower temperatures, the long sleeves and boots help with warmth while the brighter color complements and is the perfect amount for making the slow change into warm weather. 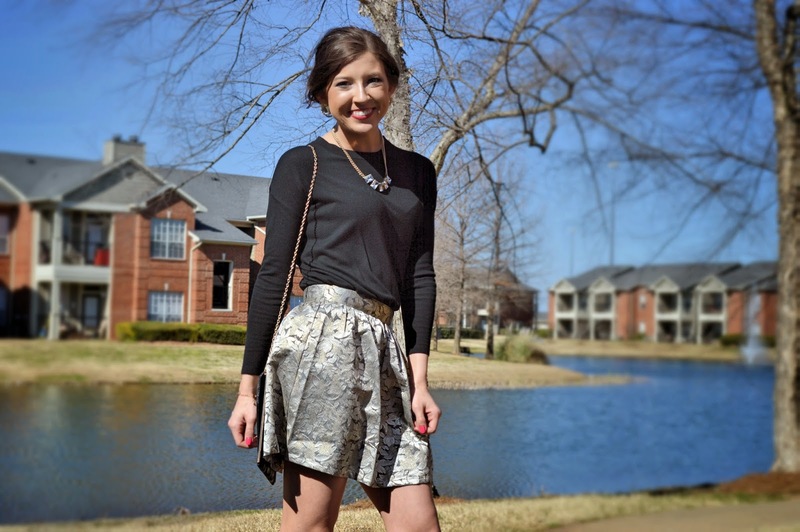 PS- Don't forget to check out Brittani's look on State of Greyce! I used to make jokes about my mom choosing to wear a black dress to any and every event that she attended. "Mom, they all look the same," I said. "How boring," I said. But she would always insist on it. She still does. Well, guess what! I am officially becoming my mother. She's gonna love this. 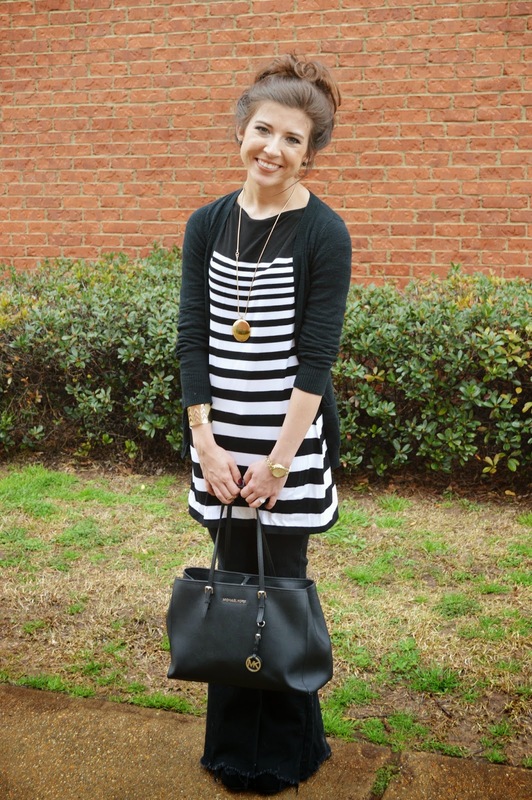 Black is my go-to color when I don't know what to wear, and this look is no exception. First, let's talk about this AMAZING coat! 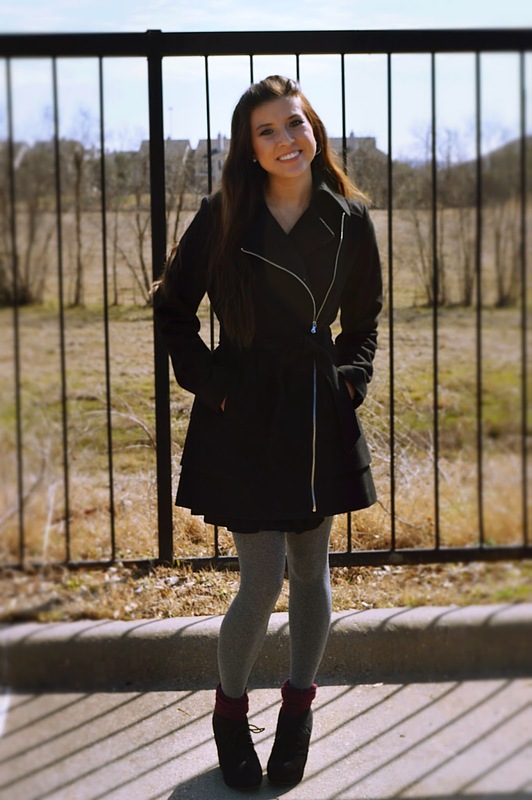 I've been searching for the perfect black coat for, literally, years. When I laid my eyes on this black beauty, my heart may have skipped a beat or twelve. I love the silhouette of this one. The cinched in waist and medium length are perfect for my shape. The off-set zipper adds a modern feel to this classic piece while still keeping it timeless. 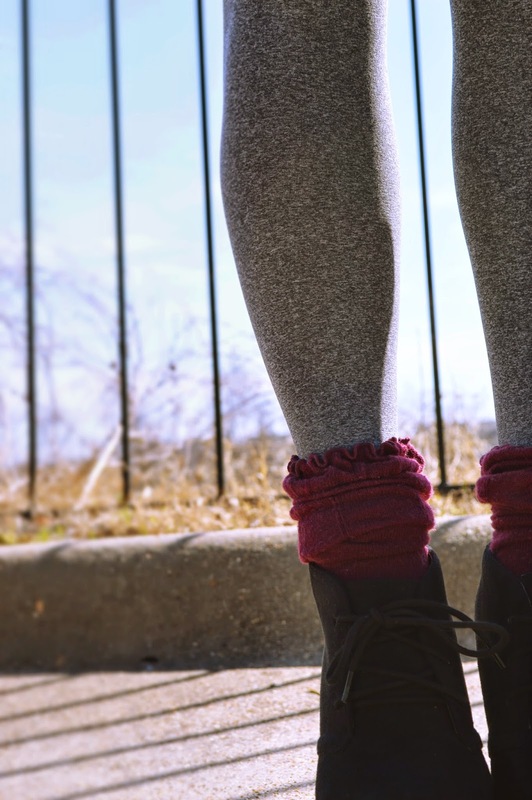 Gray tights and burgandy socks add layers for cool, late winter-early spring days. 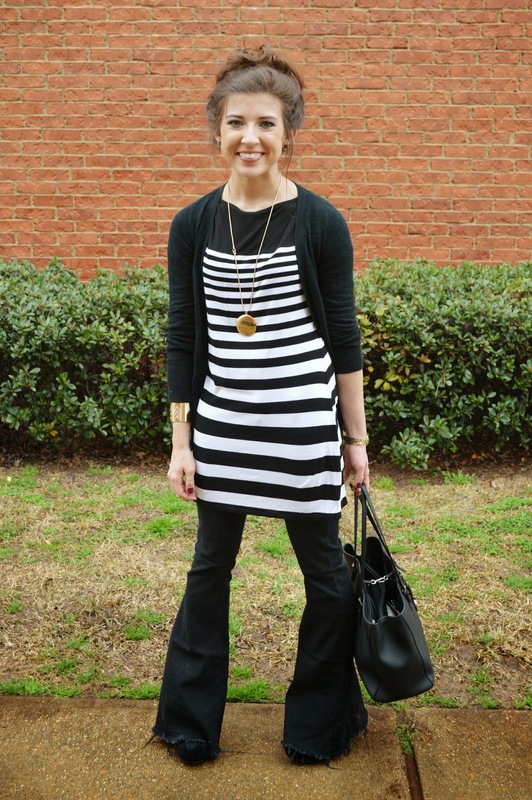 Underneath my fab coat, I'm wearing this jersey swing dress that is both comfy and flattering. The buttons down the middle of the dress create a line for the eye to follow which creates an illusion of a longer, leaner body. I love the sleeves for cool temperatures. I layered two dainty necklaces for some shine-one short one and one long one to keep them tangle-free. 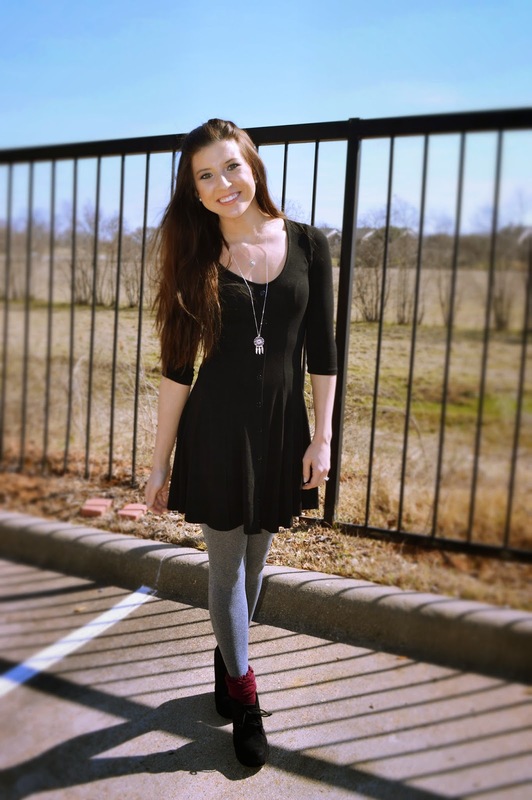 I hope ya'll are able to enjoy some pretty spring weather wherever you are! I'm tellin ya, the weather is crazy here in Louisiana. One week it's a beautiful 60-70 degrees, the next...25. Not kidding. PS-Can you guess what song those lyrics are from?! Haha! Obviously, I conclude my posts with whatever pops into my head at that exact moment. Hey, pretty people! Today's Fitness Friday post will be short, but sweet. Need I say more? No, but I will anyway. 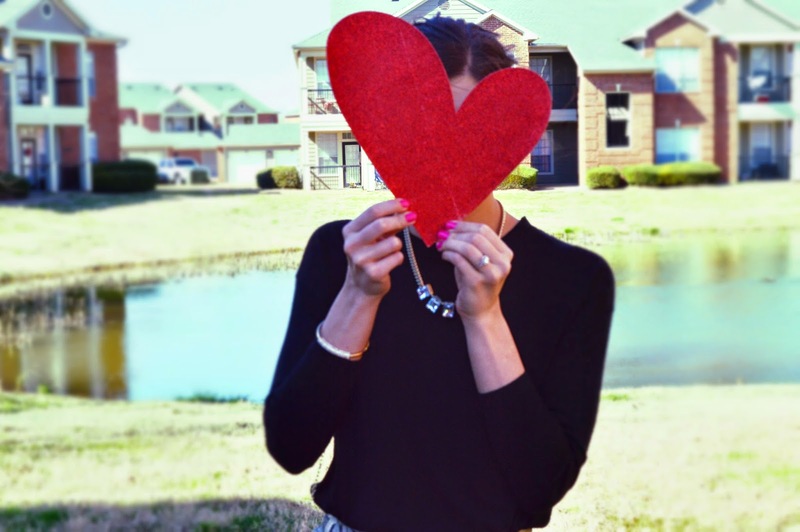 I featured her in my January Favorites and I NEED to share more about her! Kayla posts inspirational selfies like this one all the time, which is motivating in itself, but the best part about her is her upbeat and positive attitude! Just reading her captions puts me in a good mood. She also has written up a few guides available for purchase on her website and posts photos of her followers who have used the guides and seen AMAZING results! I plan to get on that program asap! Hellooooo abs! Camilla's mirror pics get me pumped for gym time like nobody's business! She is a fitness model, after-all. Camillaslifestyle.com offers a membership for an inside look at her health and fitness tips. I haven't signed up for this, but it may be something you all are interested in. business goals, etc. It's all about achieving "greatness", obvi. I love browsing Pinterest for inspiration and I know I'm not alone on that one! 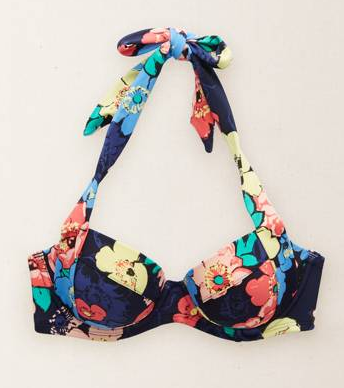 *I started summer shopping early and purchased this one already! The good ones are always gone by the time I'm ready to hit the pool! *I like the semi-sporty feel of this one. It's definitely on my list! *I like that this one has a thick halter strap...just in case you decide you want in on that intense pool volleyball game! 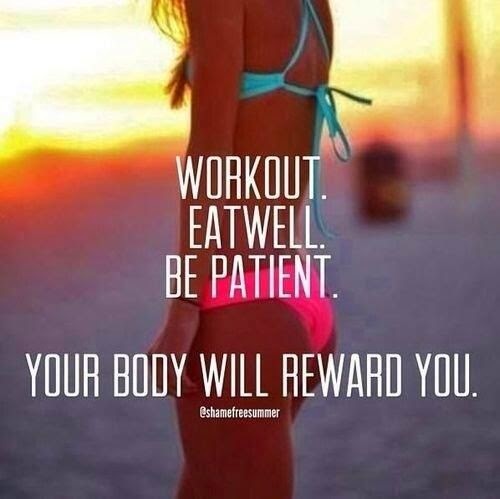 I hope this post gives you even the slightest bit of motivation to stick to your health and fitness plan! Have a fabulous weekend, friends! 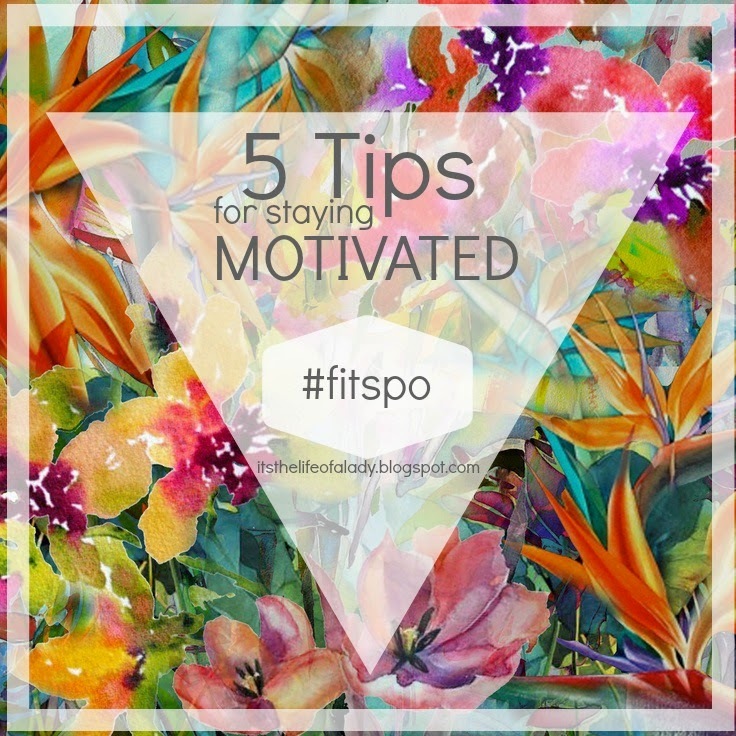 PS-Do you have any tips for staying motivated? I'd love to hear them. I love learning about this stuff! Ok, ok! It's just me! 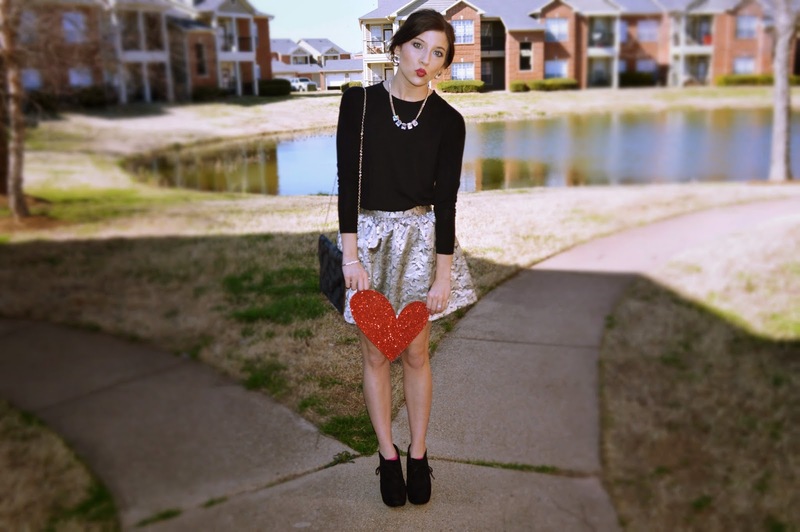 Today, I'm bringing you a fun idea for a Valentine's Day look that doesn't involve pink or red (except for my lips)! 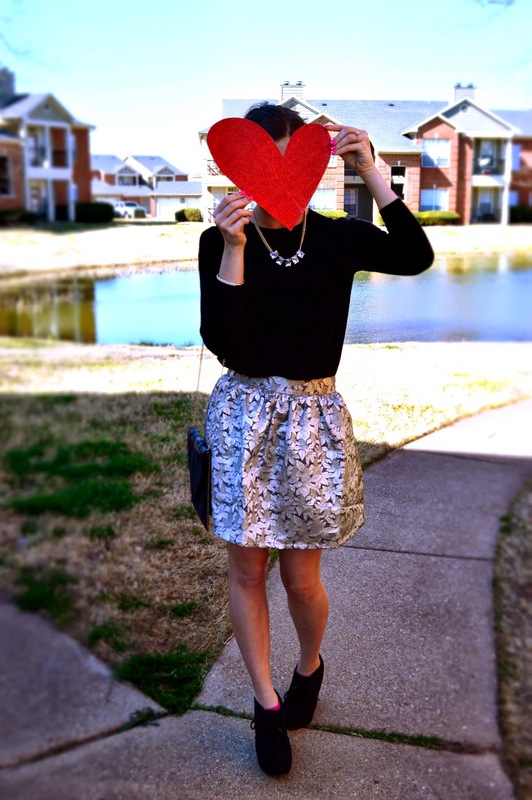 I love anything with sparkle and shine, so when I found this metallic skirt online, I didn't think twice about adding it to my cart. 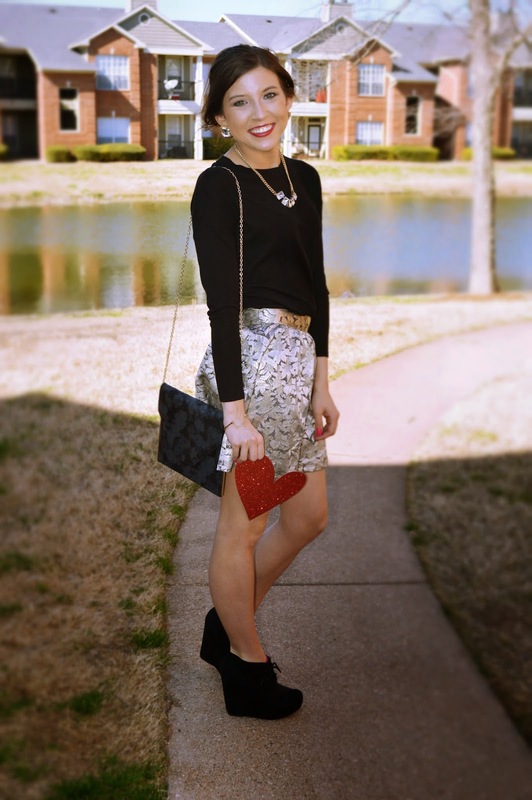 I'm always up for a fun sparkly look on any holiday! 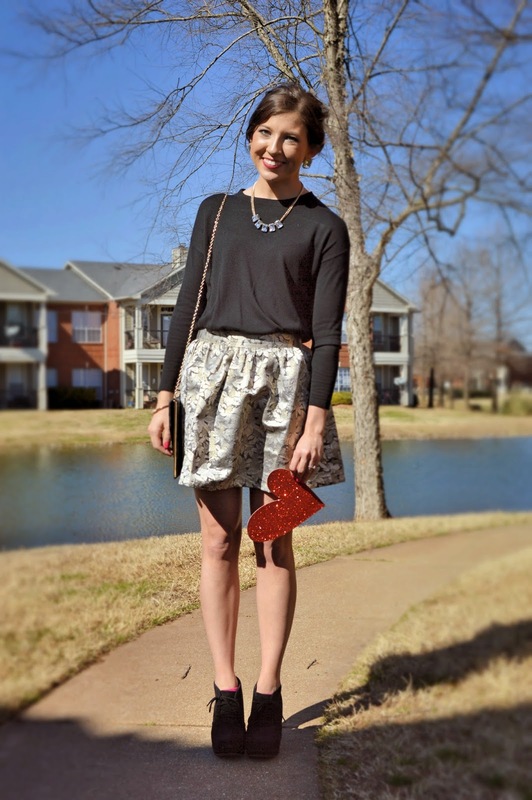 I paired this skirt with a thin, black sweater. 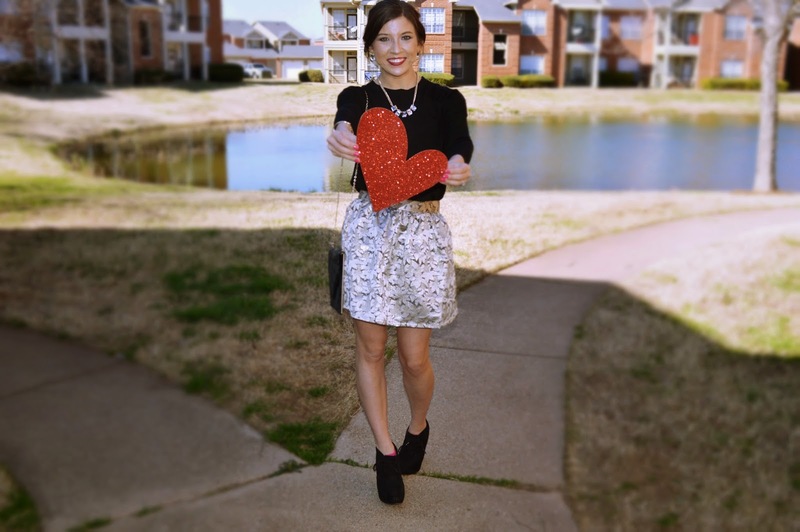 I kept everything pretty basic since the skirt is my focal point in this outfit. 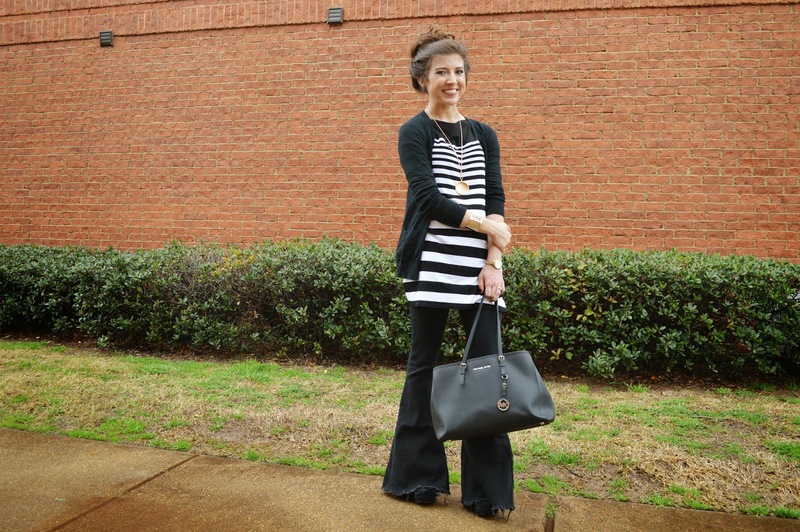 My black wedge booties are awesome for transitioning from winter to spring. I added this necklace and these earrings for little more bling and some interest up close to my face. I love that this clutch came with a detachable gold chain strap because I get tired of having to carry this thing around. Plus, I think it looks adorable! 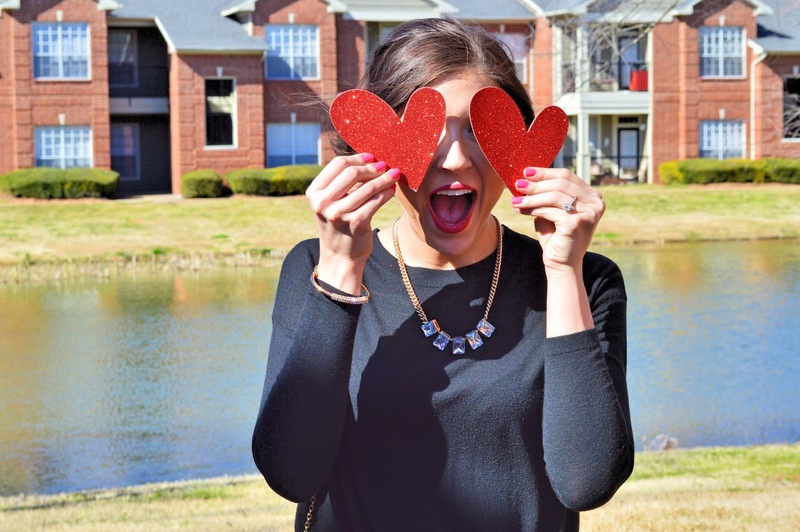 I hope you all have the sweetest of Valentine's Days! PS-My lip color is NYX Soft Matte Lip Cream in Monte Carlo and Rimmel Exaggerate Full Coulour Lip Liner in Ravish!